This stylish cardigan is perfect for brightening up any outfit. 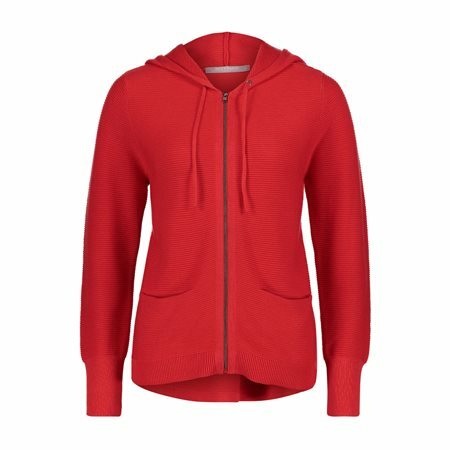 This is a hooded cardigan with a zip closure and a ribbed effect throughout. Wear this casually with a pair of jeans and a lightweight scarf to finish it nicely.